Stormy days on the coast as cyclone Oma washes up some big waves. Popo doing a quick beach sweep for any unlicensed septuagenarian budgie smuggling. 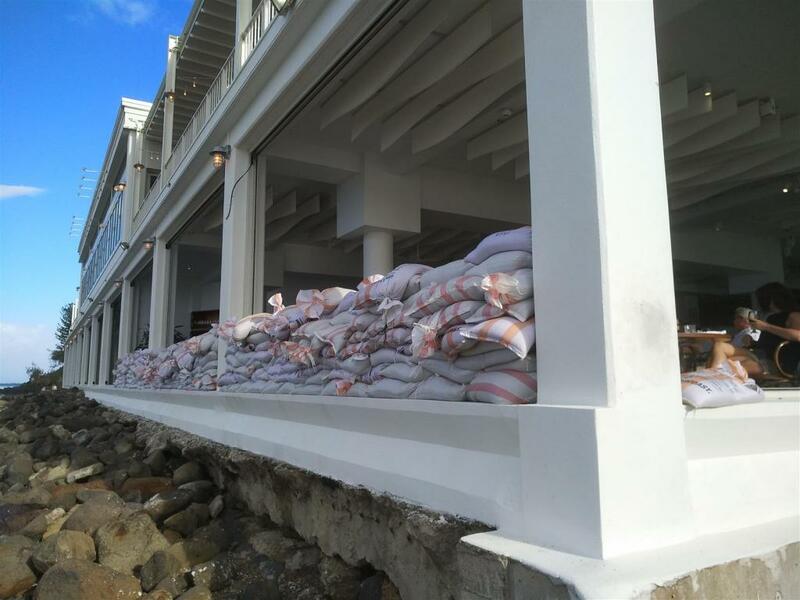 Get the sand bags up and remove the windows from the restaurants. Brazilian chicitas looking for a serious pounding riding a big swell. You know they mean business when the surf rescue puts the sign on the access path instead of on the beach. 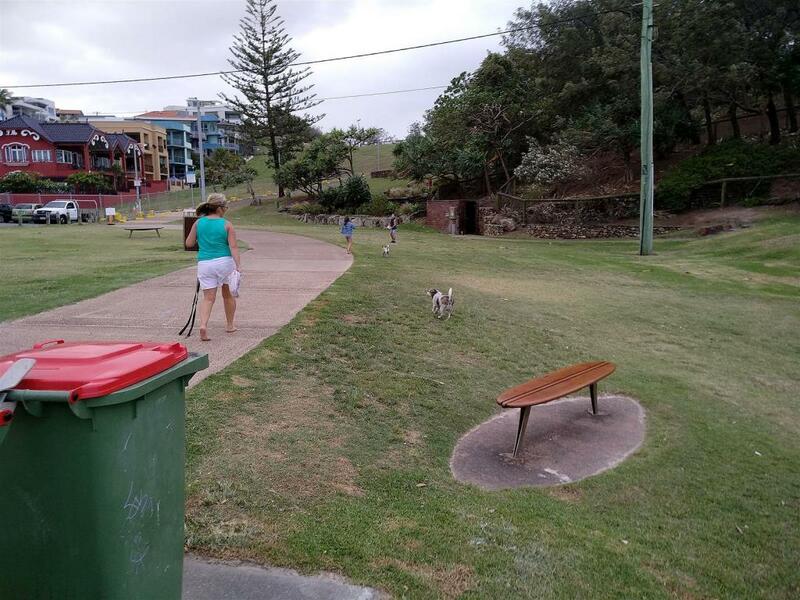 This woman's dog got a wash. 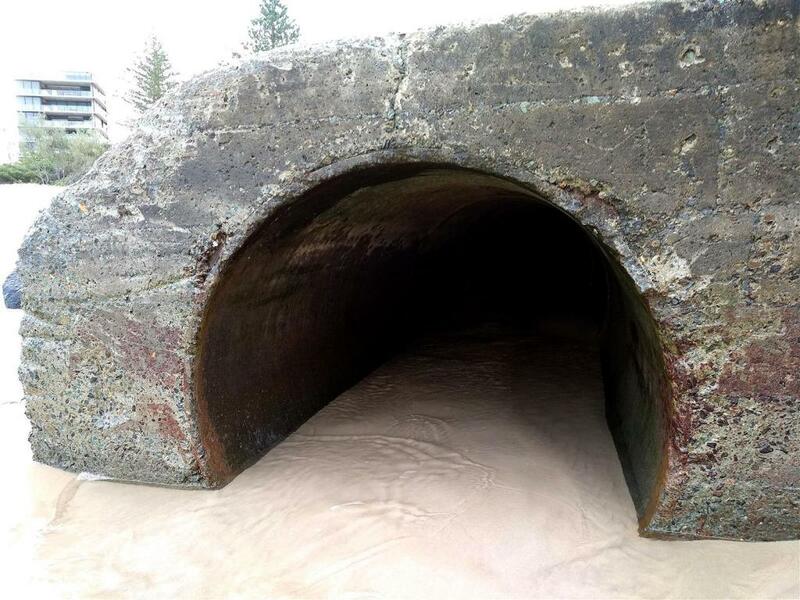 It got swept right up this pipe by a big wave. Took a minute to come out. Lady thought it was gone for good! I offered to tuck her label in but she said she was alright. I guess she is planning to return the bikini to the Billabong shop after the shoot. Wipeout for the shoot as the waves come in. 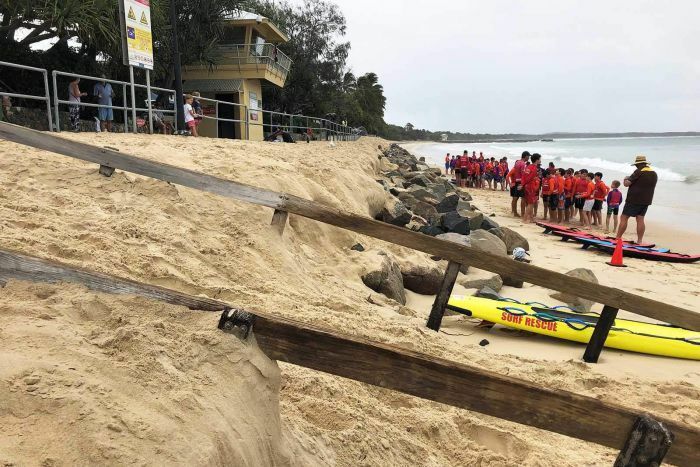 Surf lifesavers have rescued at least 30 people from dangerous surf on south-east Queensland's beaches as swimmers and surfers ignored their pleas to stay away. 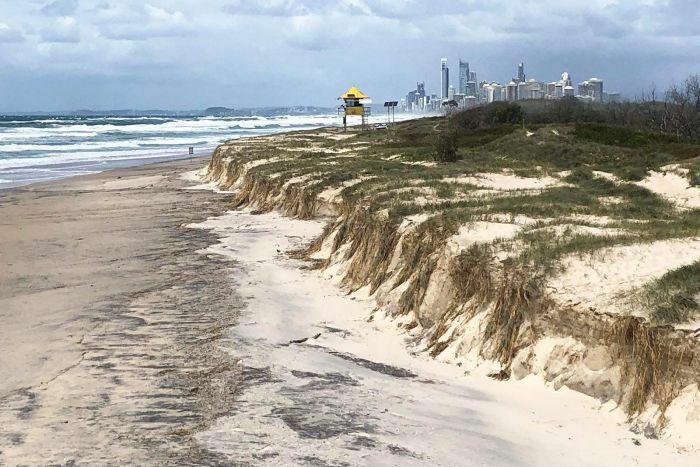 All Gold Coast beaches and most of those on the Sunshine Coast were closed on Sunday as the effects of ex-Tropical Cyclone Oma continued to be felt. A woman stands in front of an eroded sand dune on a beach. A severe weather warning remains in place from Fraser Island to the New South Wales border for dangerous surf caused by the now sub-tropical low. 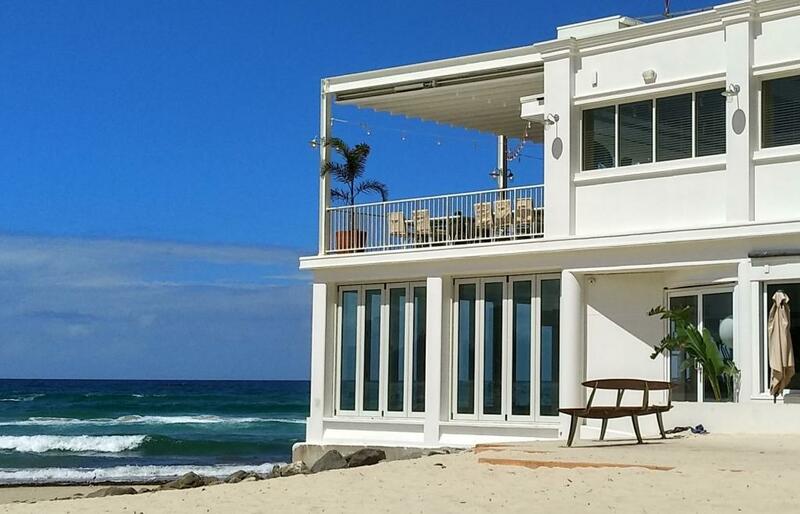 Surf Life Saving's Jeremy Sturges said it was frustrating that the warnings were ignored. 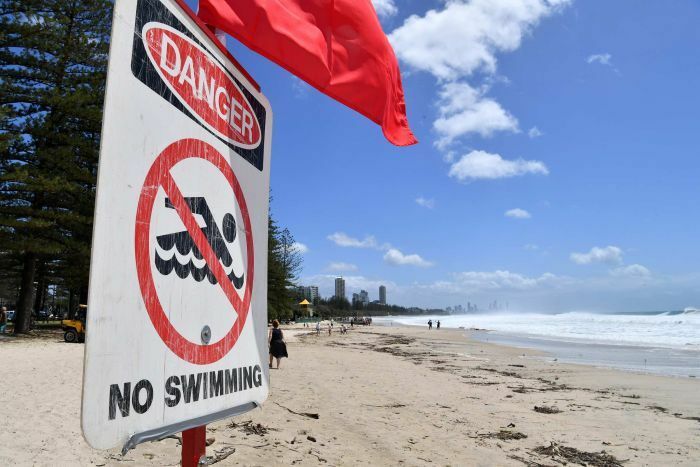 "We've had eight incidents today on the Gold Coast alone ranging from surfers in distress, jet skiers in distress, windsurfers, and swimmers as well," he said. 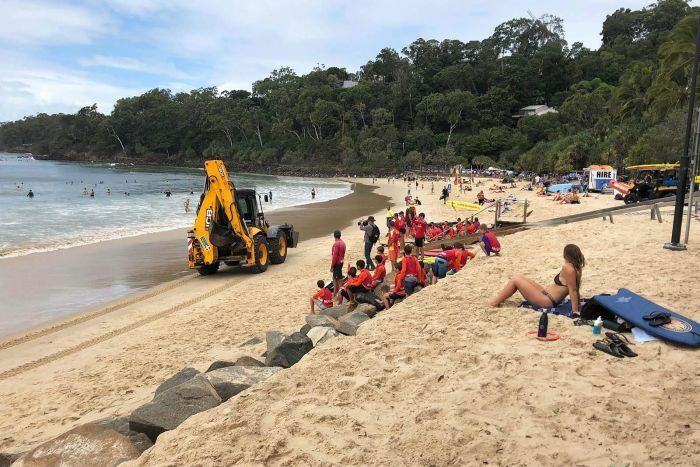 "We can only advise people to stay out of the water and away from the water's edge but you're going to get people who think they can cope with the conditions and that's where they're getting unstuck. "Winds are making the seas heavier, which is creating a much more dangerous ocean for us." 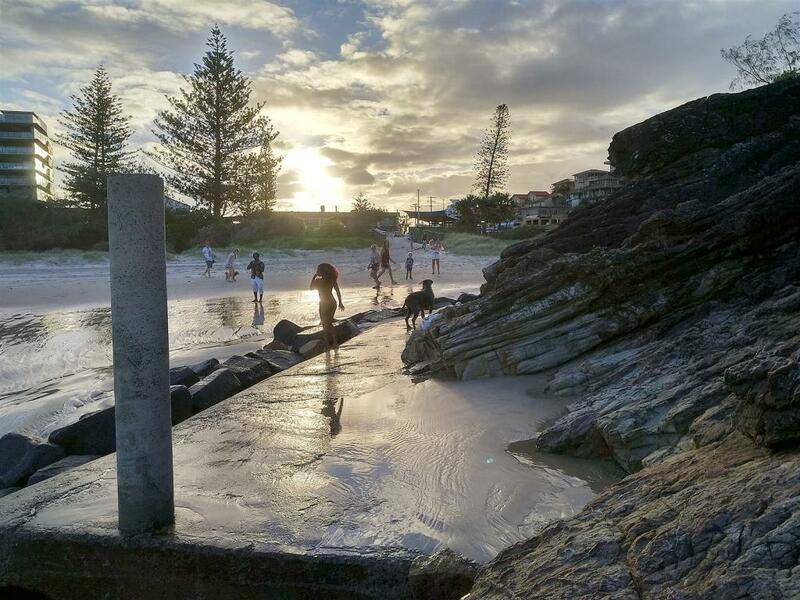 One person had to be treated for head injuries after being swept onto rocks at Coolangatta. 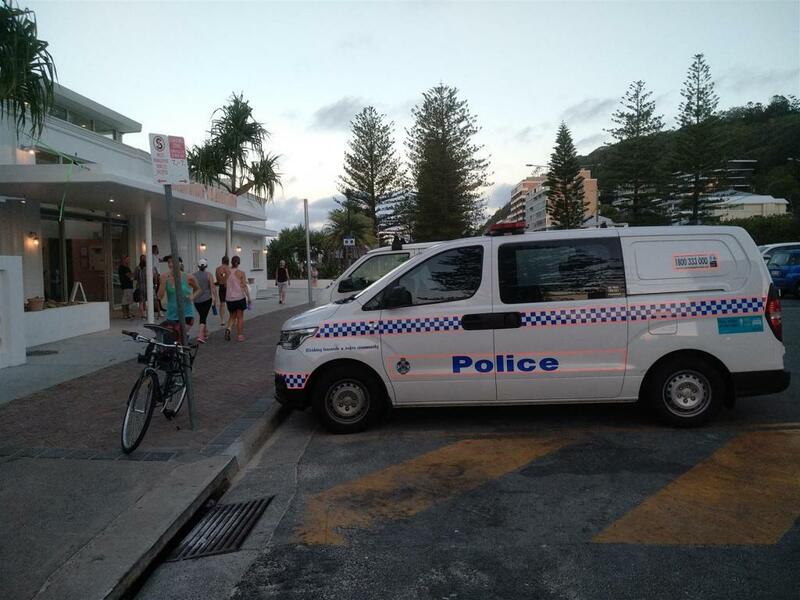 Sunshine Coast duty officer Sebastien De Paula said lifesavers had been kept busy overnight too. 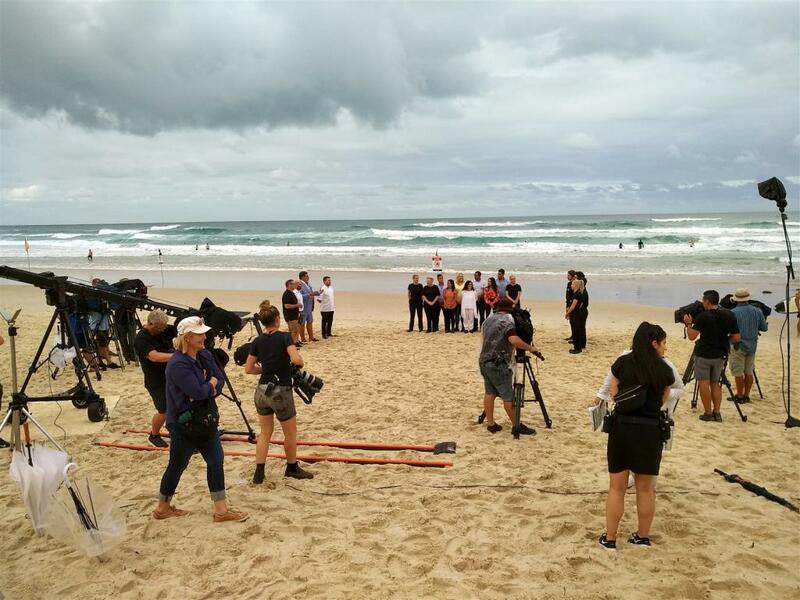 "We have had a number of rescues; we had four after-hours call-outs on Friday night, some surfers and then missing swimmers, and again another missing swimmer last night," he said. "Luckily all were found safe and well, but it is a reminder for people, please do not swim, and don't swim after dark." 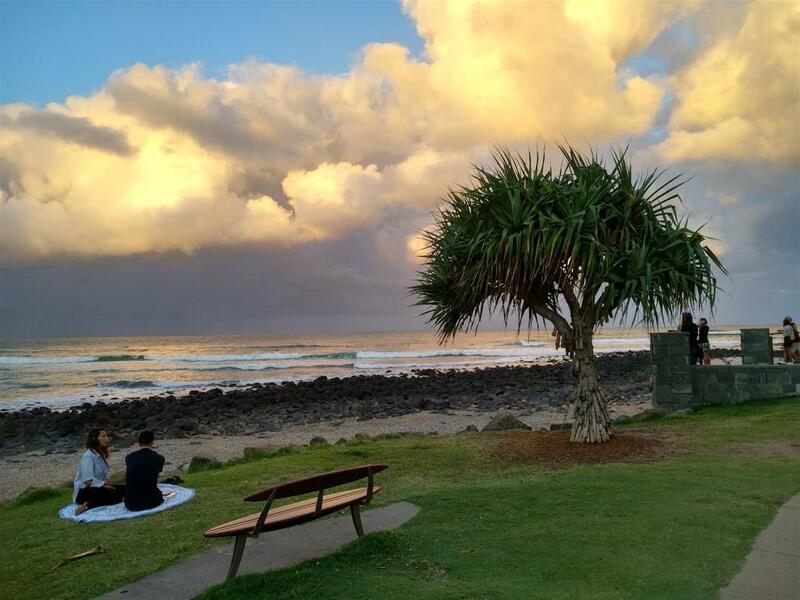 Experienced Sunshine Coast surfer Beau Kinnear spent the entire weekend enjoying the surf and large swells, but said today's conditions had begun to deteriorate. "The winds have picked up, so we're having to be a little bit more cautious — good for those who know how to surf," he said. "With the variety of people out there, it is mainly people with experience. Those that aren't seem to make their way back in pretty quick." 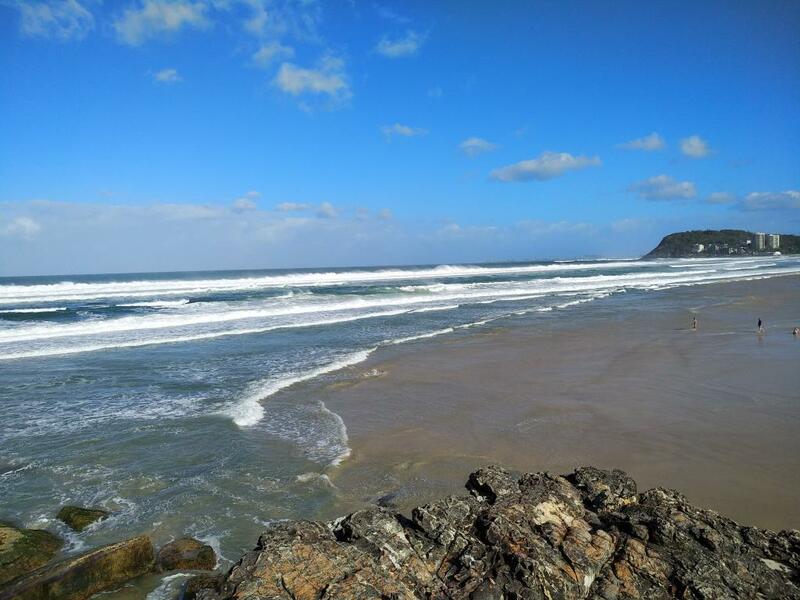 Mr Kinnear said the surf was not for the faint-hearted, with rough conditions easily putting surfers and those around them in risky situations. "The main concern is you're going to injure yourself, injure someone else around, or then have to get a lifesaver to come and save you," he said. "Even guys who are really good at surfing are finding themselves getting into trouble." Surfers ride waves at Alexandra Headland. 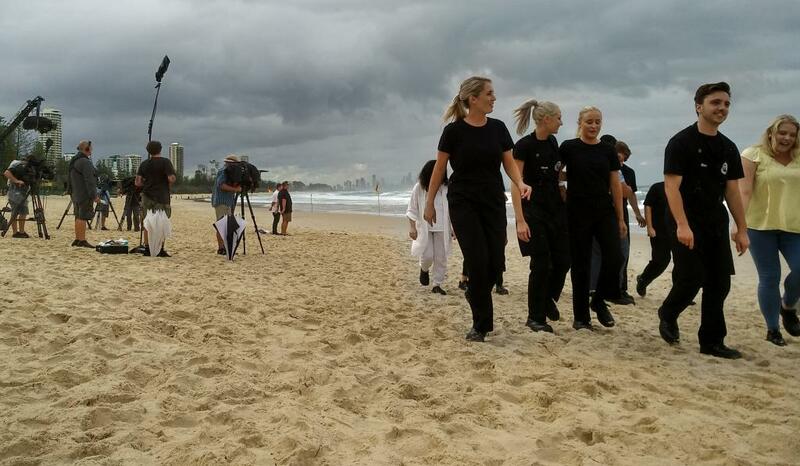 Premier Annastacia Palaszczuk said people should stay off the beaches until they were deemed safe. 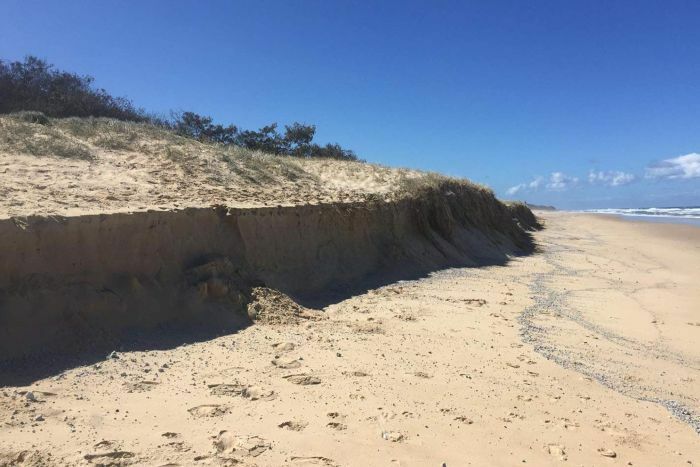 "Thankfully, touch wood, this Cyclone Oma has now disappeared," she said. 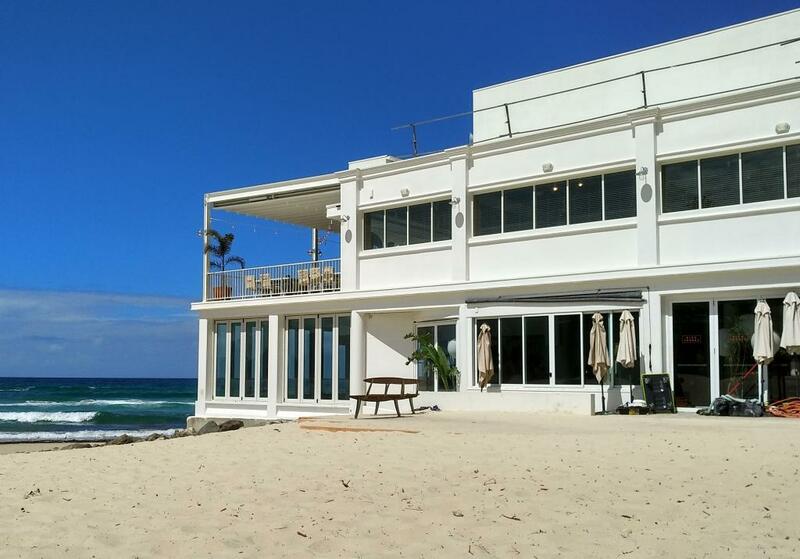 "There has been a lot of beach erosion that's happened along our coast. "So stay safe, stay off the beaches until the authorities say it's safe to go back on." 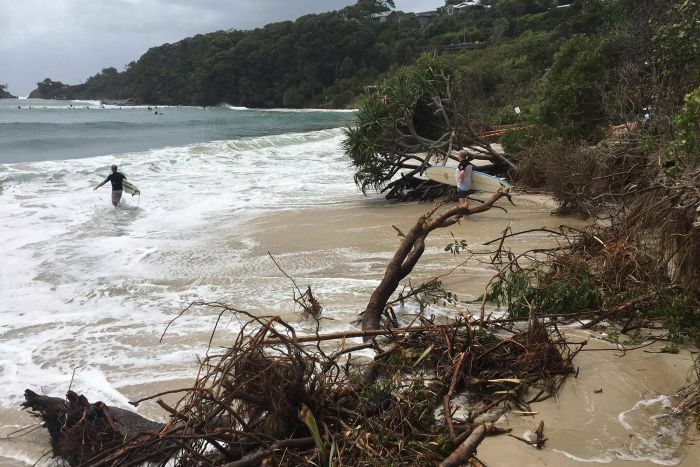 Clark's Beach at Byron Bay littered with trees damaged in the wake of Ex-Tropical Cyclone Oma. 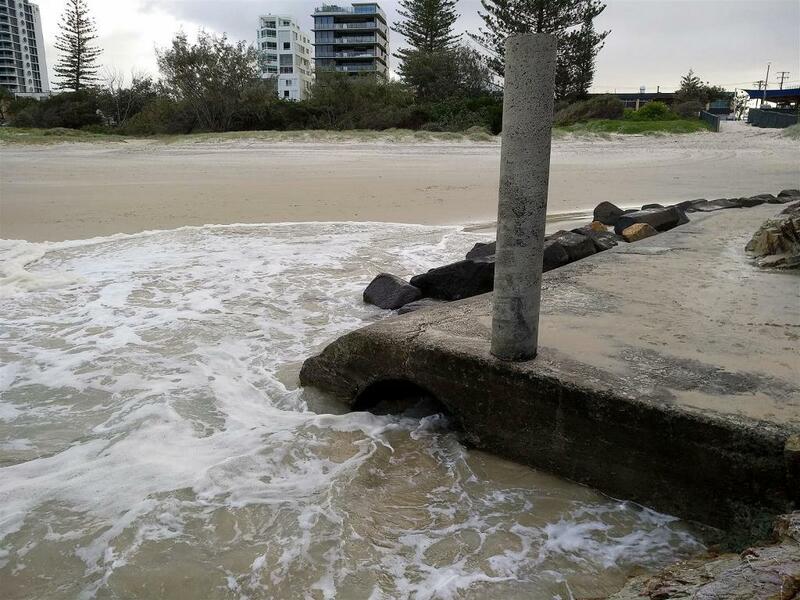 Two cars swamped by the high tide at Currumbin yesterday are yet to be moved from the flooded car park of the local surf club. 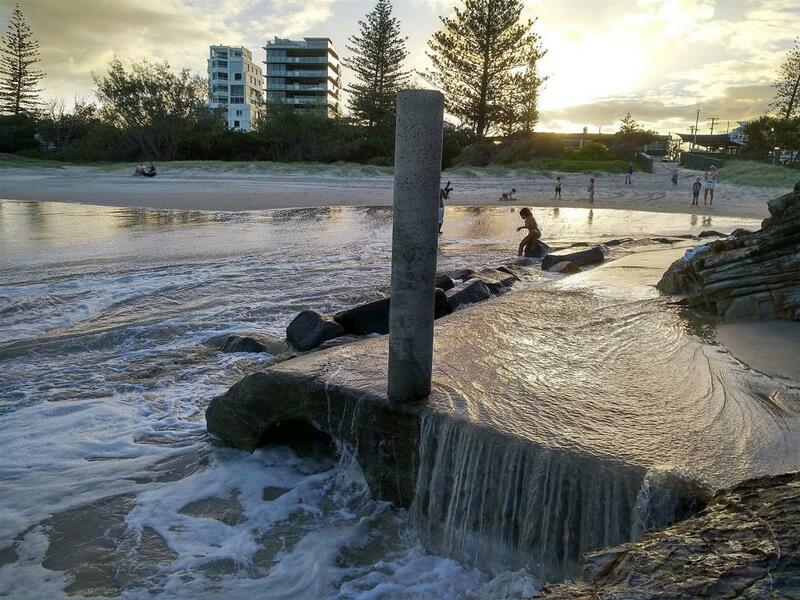 Bureau of Meteorology forecaster Michael Knepp said waves of five metres were recorded along the coast. 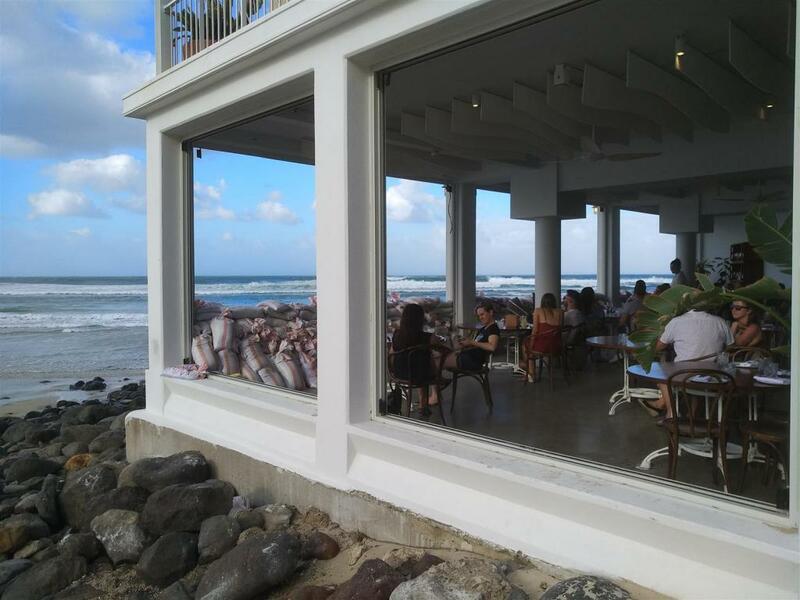 "Through the next few days we will start to see those conditions start to ease as ex-Tropical Cyclone Oma moves further away from the coast," he said. "Probably the worst conditions were over the last few days but we're starting to see those conditions ease so [it's] probably not the best beach-going weather today unless you're maybe a really experienced surfer. "I have heard that some surfers have said they've seen the best waves in 30 years upon some of the beaches." 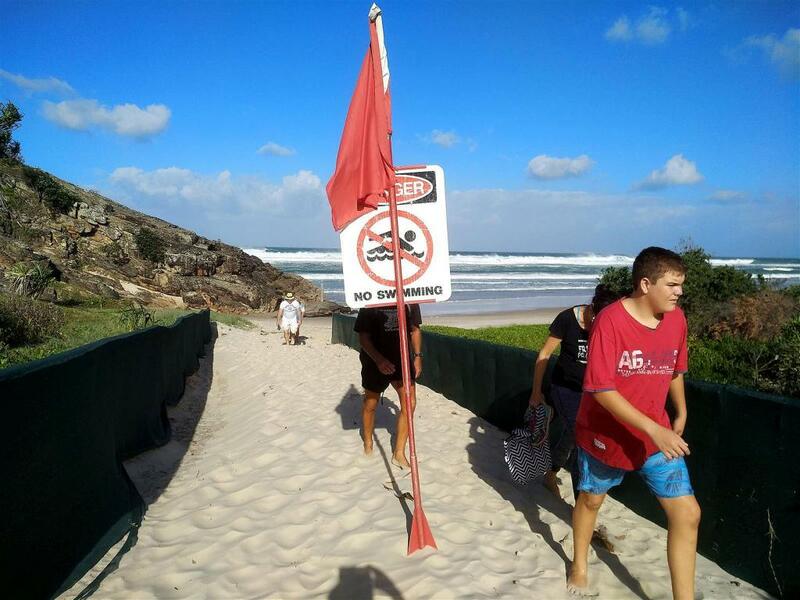 Police say a man has drowned while swimming near Cylinder Beach on North Stradbroke Island off Brisbane today, despite an easing of surf conditions after days of big swells from ex-Tropical Cyclone Oma. The man, described as a foreign national, got into difficulty this morning while in the surf. Did you oblige them Looper? Nice light as the last of squally clouds blow away. Filming an episode of MasterChef between squalls. Looks like a nice spot for a late breakfast/early lunch/cup of coffee before it gets too busy.